Do you work with independent tourists and book car rentals for them? Now you can make it in a more convenient way earning from 5% to 10% of every booking. All you have to do is to become a member of our Partner Program. You register with our Partner Program and get your own Partner Identification Number (ID). We give you a partner link to our website through your member account. You follow the link to enter our website and book the car rental for your client. We know this is your client by your partner code and assign the sale to you. By adding White Label online car rental booking product to your website, you can significantly increase your sale of additional service revenue thanks to a 5-10% of the car rental cost commission fee. Client enters your website and books a car rental by himself. We know this is your client by your partner code and assign the sale to you. 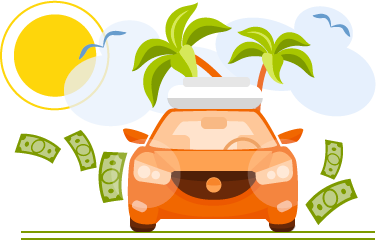 After the car rental is paid for, you get up to 10% commission of the car rental cost as a consideration.